Yermek Tursunov’s previous film, that I was able to see, was The Old Man (Shal), and it was Kazakhstan’s official submission to the Academy Awards and was nominated for quite a few BAM Awards including Best Picture and won Best Cinematography. The Old Man was part of a trilogy. 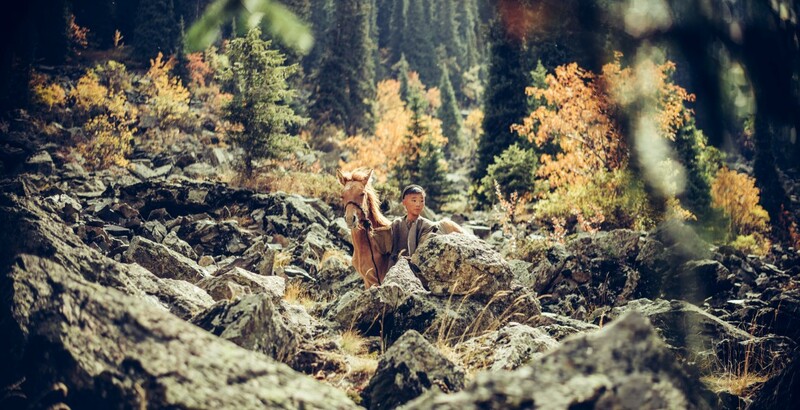 This one is not part of that multigenerational tale of familial legacy but Stranger very much feels of Tursunov’s milieu; exploring the world of Kazakh nomads. In this case a tumultuous period of the 20th century in this then Soviet-state. Events are realized, and come home visually without too much assistance from the dialogue. However, it allows us to more quickly bring ourselves into the film and experience it not as outsiders, insistent on knowing precise causes and affects, but rather much as our protagonist Ilyas does. He doesn’t quite understand what’s going on and why his parents and friends are disappearing as enemies of the state, and he doesn’t care what the reasoning is. He just feels it’s not right, refuses to “get with the program,” and runs off. Not only living the only way he’s known how, but adopting and even closer-to-the-earth more insular existence than he heretofore had. Music is perhaps more crucial to Stranger than it was to the old man because the narrative is not one compressed in the dramatic unities of time and space in cinematic terms but rather a sweeping epic than spans decades and goes from the protagonist’s childhood to his death. The timelessness and majesty of the music are another tool used to draw us in. For truly music, perhaps even more so than cinema, can have the evocative quality needed to truly transport a person to a time and place they’ve never been and identify as if they have. With a tale that concerns a reclusive nomad and the small village he leaves behind and can only occasionally return to for short times. The cinematography by Murat Aliyev lovingly captures the steppes in their beauty and brutality but is also the key to creating the marvelous mise-en-scène this film has. The framing, quality of light, and the fact that this film speaks far more in images than in dialogue makes it even more crucial that it is this good and it is. Stranger also hearkened me back the to the Norwegian film Pathfinder (Ofelas), but with a more allegorical than traditional epic slant. Most of that has to do with the magnetic performance of Erzhan Nurymbet not just the fact that he’s frequently isolated. Perhaps the rarest feat this film can claim is the equilibrium in quality of performance between two actors playing versions of the same character at different ages. Typically aging of a character from childhood into adulthood is only used to create an inciting incident, or illustrate a trauma; usually the appearance is all that remains the same. 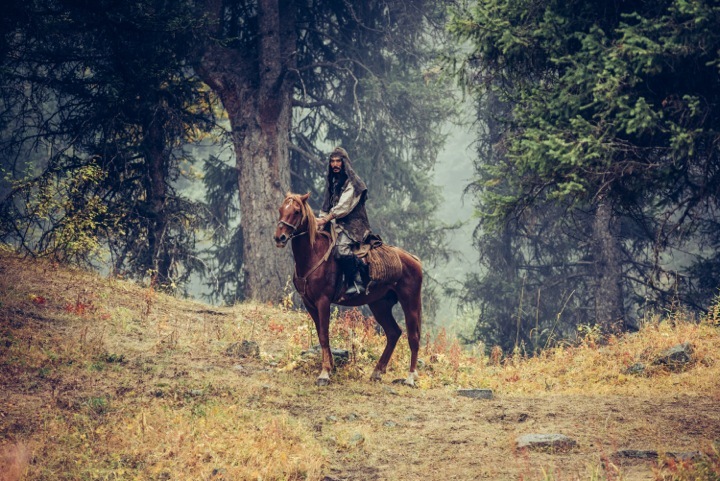 However, with Stranger there is shown, simply, in a gorgeous montage, Ilyas’ transformation from wide-eyed innocent fleeing into uncertainty to a fully red-blooded nomad more adept at living in the woodlands of the steppes than what passes for society in collectivized village. This is a testament to Erzhan Nurymbet, Nurgali Nugman, and the edit of the film. An edit which frequently is deftly artful to convey the passage of time visually without having to resort to titles. In fact, only at the beginning do we outsiders get some necessary background information. What proceeds after that is a story embodying many aspects of that title card in one character’s life.